“Children of the Camps” to be screened. Miné Okubo, “Waiting in lines, Tanforan Assembly Center, San Bruno, California,” 1942. Drawing. Courtesy of Japanese American National Museum, gift of Miné Okubo Estate, 2007.62. The Skirball Cultural Center, 2701 N. Sepulveda Blvd. 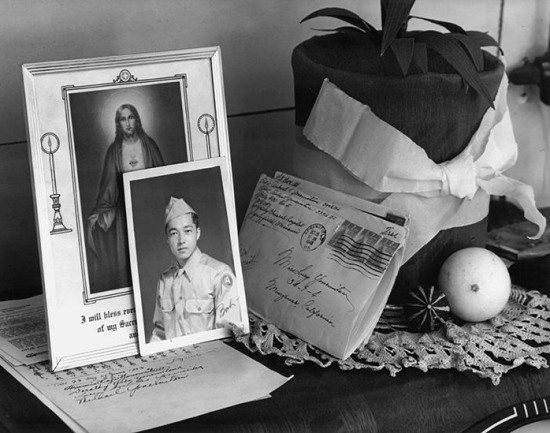 in Los Angeles, will present two exhibitions about the World War II incarceration of Japanese Americans starting Thursday. 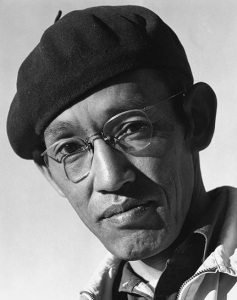 “Citizen 13660: The Art of Miné Okubo” features a selection of archival material and rare original artwork by California-born artist Miné Okubo (1912–2001), who was among the thousands of Japanese American citizens forced to leave their homes and businesses for incarceration camps during World War II. In an effort to document the injustices of the camps, Okubo created nearly 200 pen-and-ink drawings capturing her everyday life and struggles. 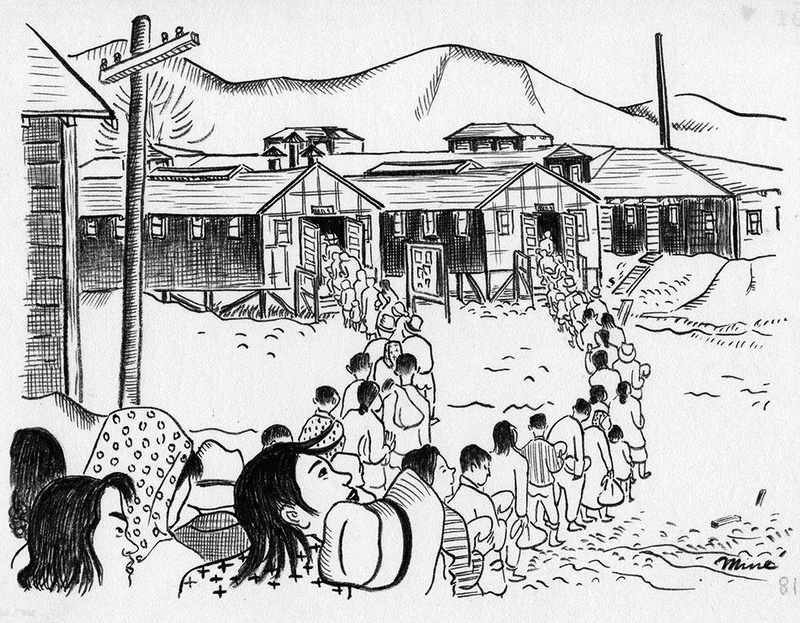 These vivid, dramatic drawings were subsequently published as the graphic novel “Citizen 13660” (1946), the first illustrated memoir chronicling the camp experience. This exhibition explores this exceptional book and brings Okubo’s personal and historical narrative to life. 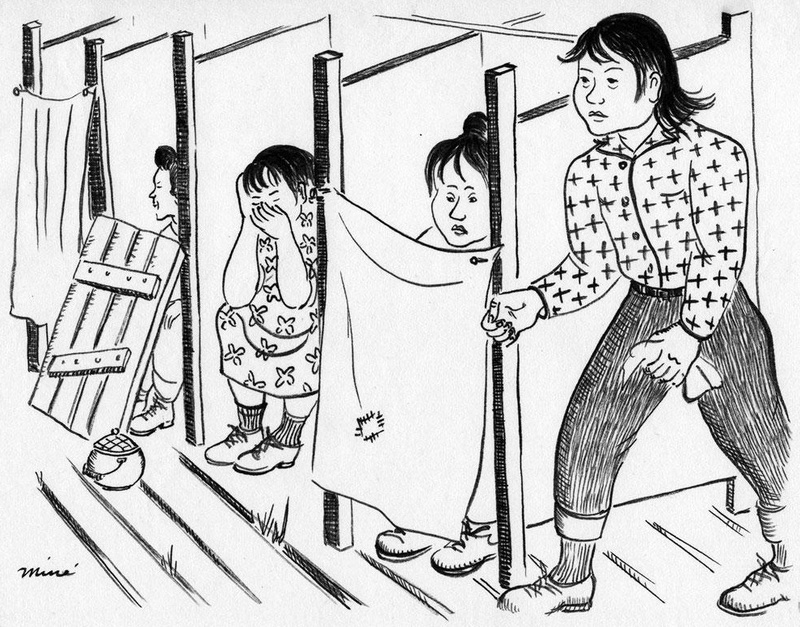 Miné Okubo, “Community toilets, Tanforan Assembly Center, San Bruno, California,” 1942. Drawing. Courtesy of Japanese American National Museum, gift of Miné Okubo Estate, 2007.62. Following President Franklin D. Roosevelt’s Executive Order 9066, Okubo and her family first entered the Tanforan Assembly Center in San Bruno, just south of San Francisco, and then the Topaz camp in Delta, Utah. 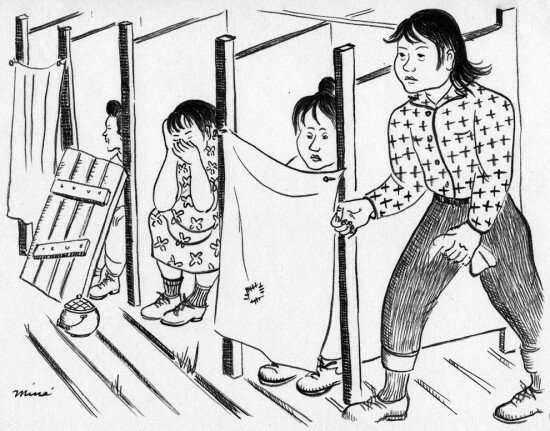 Despite her identity being reduced to a number — 13660 was the government-issued number assigned to the Okubo family — she found ways to account for this period in her life through poignant and insightful images and commentary still relevant today. “Citizen 13660: The Art of Miné Okubo” is in association with the Japanese American National Museum. Ansel Adams, “Pictures on Top of Phonograph, Yanemitsu Home,” 1943. Gelatin silver print (printed 1984). Private collection; courtesy of Photographic Traveling Exhibitions. “Manzanar: The Wartime Photographs of Ansel Adams” presents a lesser-known dimension of celebrated photographer Ansel Adams’ body of work, and offers insight into a decisive and disquieting period in American history. 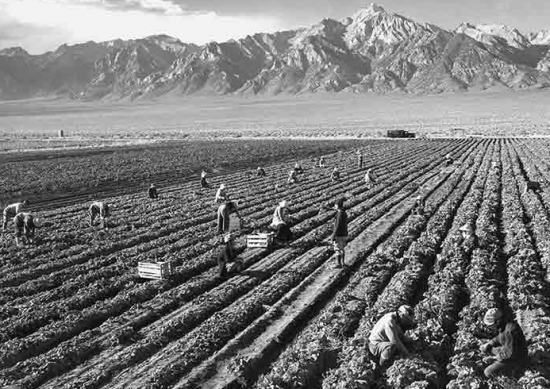 Presented at the Skirball in association with the Japanese American National Museum, the exhibition features 50 photographs by Adams of the Japanese American incarceration camp in Manzanar during World War II. These photographs were the subject of Adams’ controversial book “Born Free and Equal,” published in 1944 while war was still being waged. The book protested the treatment of these American citizens and what Adams called their “enforced exodus.” Powerful forms of civic and artistic expression, the images speak to the Skirball’s mission of confronting injustice, embracing diversity, and preserving community. Ansel Adams, “Toyo Miyatake, Photographer,” 1943. Gelatin silver print (printed 1984). Private collection; courtesy of Photographic Traveling Exhibitions. “Manzanar: The Wartime Photographs of Ansel Adams” was organized by Los Angeles-based Photographic Traveling Exhibitions. In addition to Adams’ work, the Skirball’s presentation of the exhibition includes other photographs, documents, publications, artifacts, and works of art that detail life and conditions at Manzanar and offer personal narratives of the experience. A range of propaganda posters, films, pamphlets, and magazines portray the anger, prejudice, and overt racism of the times. Additional material from Adams’ contemporaries, Dorothea Lange and Toyo Miyatake, is highlighted. Public tours of the exhibition will be given Tuesday through Sunday at 1 p.m., starting Thursday, Oct. 15. In conjunction with the two exhibitions, which run until Feb. 21, 2016, “Children of the Camps” (1999) will be screened on Thursday, Oct. 15, at 8 p.m. In this poignant documentary, watch six Japanese American adults reflect on the traumatic effects of having been forcibly removed from their homes and incarcerated as children during World War II. Following the screening, listen as filmmaker and psychotherapist Satsuki Ina, Ph.D., who was born in the Tule Lake camp in 1944, discusses the psychological trauma of immigrant detainees in America today with Carmen G. Iguina, staff attorney at the ACLU of Southern California. In the film, Dr. Ina leads the subjects through an intensive group therapy session over three days. As they share their family stories, they develop strategies to cope with their harrowing childhood experiences. The documentary also features archival photography and film footage. Museum hours: Tuesday through Friday, 12 to 5 p.m.; Saturday and Sunday, 10 a.m. to 5 p.m. Closed Mondays and holidays, including Thanksgiving, Christmas and New Year’s Day. Admission is $10 general; $7 for seniors (65 and up), full-time students with ID, and children over 12; $5 for children 2 to 12; free to Skirball members and children under 2; free to all on Thursdays. Free on-site parking; street parking strictly prohibited. For more information, call (310) 440-4500 or visit www.skirball.org. 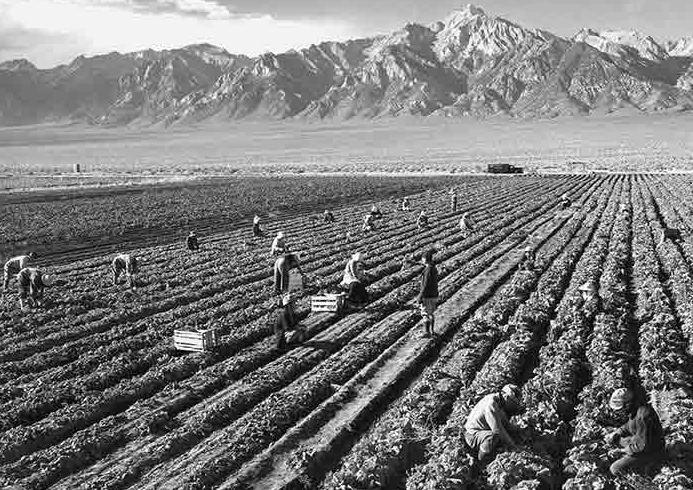 Ansel Adams, “Potato Field,” 1943. Gelatin silver print (printed 1984). Private collection; courtesy of Photographic Traveling Exhibitions.